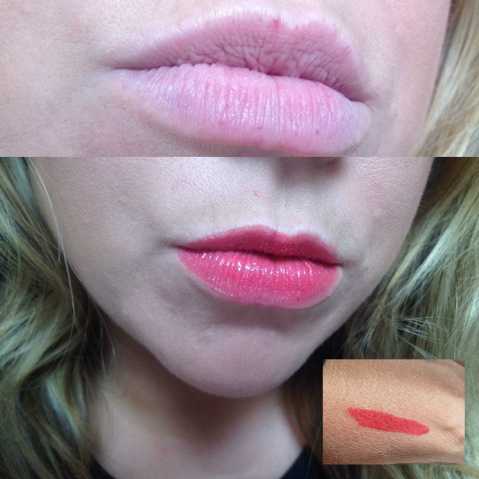 Top is my Natural Lip colour to show how the colour more accurately . 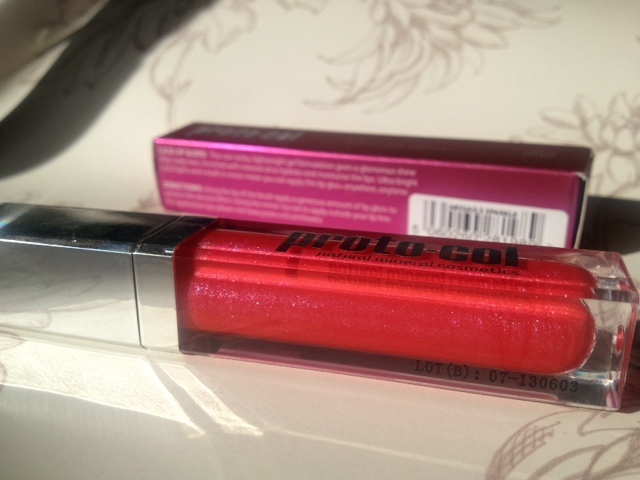 This gloss from Proto-col delivers a raspberry red tint to the lips. Engulfed in a shiny non sticky lip gloss that your hair doesn't stick to are iridescent flecks of sparkle which reflect the light and add dimension to the lips, not too much so you look like a disco ball but enough to create interest. The gloss is super lightweight and doesn't feel like most lip gloss's I have tried, my lips feel soft, moisturised and not tacky at all. I love gimmicks and I'm a sucker for multi-purpose products and tools. Why take along three items when you can take one! Am I right?.. The case is unique, a handy mirror on one side and a built in L.E.D light in the lid. The applicator is a brush which I feel could have been made a little wider but none the less does the job. 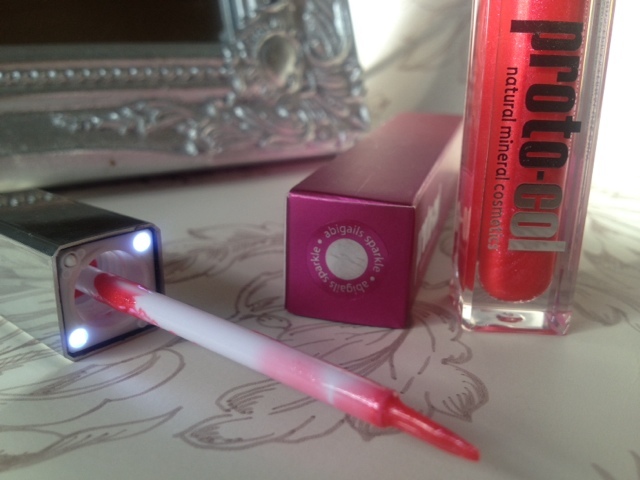 The lip gloss retails at £11.95 and comes in 6 other great shades, they can be purchased HERE via the Proto-col website. 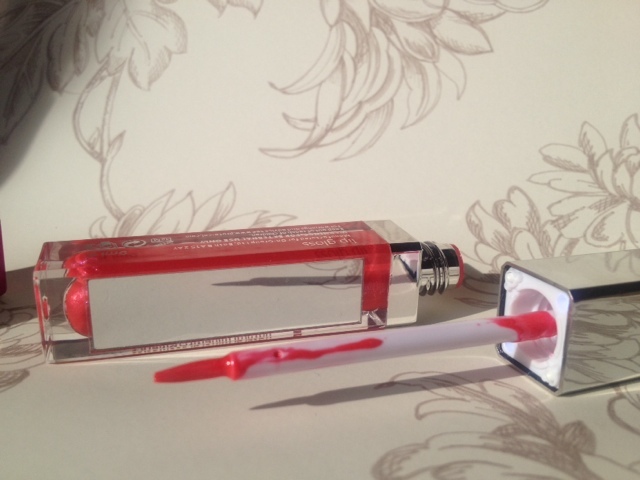 What do you think to this nifty lip gloss?